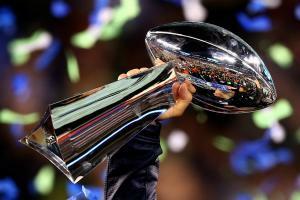 Will NFL Owners Vote for Super Bowl LVII Come to Arizona? On Tuesday, May 22, 2018 the NFL Owners will decide if the Super Bowl will be here in Arizona at the University of Phoenix Stadium. The approval is decided upon the NFL owners who will ultimately decide the Super Bowl coming to Arizona in 2023 after Tampa Bay and Los Angeles Super Bowls. The NFL Championship will be in Arizona for the 4th time in two decades. NFL American journalist Albert Breer for Sports Illustrated reported on Monday May 21st, 2018 that the NFL is removing their old biding system in deciding where the Super Bowl will take place in 2023 and in 2024. On the year of the Championship, the NFL owners will now choose a host of the super bowl and then the city and NFL will both work on a contract for them to host for later that year. The last time that the NFL Super Bowl was hosted in Arizona was in 2015, with the New England Patriots and the Seattle Seahawks battling in a Championship game that would who would take the Vince Lombardi Trophy. The championship was at the University of Phoenix Stadium, which is the home of the NFL team of the Arizona Cardinals. Since the Super Bowl would potentially take place in Arizona in 2023, the game would bring all sorts of festivities and out-of-towners to the state. This will bring many opportunities again to the economy of Arizona and will feature our beloved state on the country’s biggest broadcasting sports in all of the United State. The NFL owners are potentially granting our state with one of the most watched sports’ events in sports’ history.